The right to water is a fundamental human right. Global activists, unionists and human rights advocates will meet in Abuja, on 29-30 January for a national summit that aims at achieving the human right to water in Nigeria and around the world. Participants will come from communities around the world which have been directly impacted by the damages caused by private water industry. Despite the mounting evidence of the problems of public-private partnerships (PPPs), private concessions, or other forms of turning public water utilities into profit machines for private corporations, the pro-market national government of Japan snuck in a legislative provision to do just that. PSI supports Jichiro, Zensuido and allies opposing water privatisation bill in Japan. PSI Global Labour Remunicipalisation workshop is taking place at the ILO in Geneva from 4-5 December. Trade union affiliates from around the world are showcasing local experiences of remunicipalisation and giving union strategies to bring public services back in-house. PSI is working with a number of allies to put pressure on the World Bank to stop promoting water privatization under the disguise of public private partnerships (PPPs). Send a letter to the World Bank Executive Director representing your country asking that the World Bank end all support for water privatization! On 22 March, PSI celebrated World Water Day. The UN Sustainable Development Goal 6 requires that governments ensure universal access to water and sanitation by 2030. However, we are seeing a new push for public-private partnerships (PPPs). We know that PPPs fail to deliver social and environmental targets, and PSI will help affiliates block this approach. We call for a rights-based approach, with public finance and management in the interests of all. According to Corporate Accountability International, groups plan a series of escalating events to expose the truth about Nagpur’s failed PPP water privatization scheme promoted by the Modi government and World Bank. A group of trade unions in India is addressing a global petition to the World Bank. A group of trade unions in India is addressing a petition to the World Bank, calling on them to end their promotion and financial support of all forms of water privatisation and acknowledge the failures behind it. PSI is urgently calling for letters of protest to be sent to the Peruvian Minister of Labour in support of Luis Isarra (FENTAP General Secretary) whose permanent union leave has been abrogated by the Peruvian Government. This takes place just before COP20 when Luis Isarra is responsible for coordinating Peru's labour movement mobilisation for the summit. PSI is calling upon affiliates to sign on to letter sent to the EU Commissioner for Development expressing concern about the future of EU support for innovative non-profit partnerships in the Water sector in Africa, Caribbean and Pacific Countries (ACP). Please support the letter to the investors and companies that wish to partake in the privatisation of the water company of Thessaloniki. We ask them to withdraw their bid as they are not wanted in Thessaloniki. Water Justice activists, including PSI unions, have successfully pushed the human right to water and sanitation (RTW) onto the global agenda. The UN General Assembly Resolution 64/292 of 2010 has set the standard for government obligations in ensuring universal access. Many national campaigns insist that governments adopt RTW and implement universal access to water and sanitation. Unions are working with a broad range of allies at global, regional, national and local levels. Public Services International requests urgent assistance from unions and NGOs to help overturn plans for water privatisation in Italy. We ask trade unions in specific countries and cities to spread this message encouraging expatriate Italians to vote in Italy’s upcoming referendum. PSIRU releases brief on "categorical errors on water renationalisation"
This PSIRU Brief, written by Emanuele Lobina, discusses some of the categorical errors mainstream economists make in predicting the outcome of water renationalisation. It argues that these errors are due to the misrepresentation of the ethos and motivation of the public and private sectors. This PSIRU Brief, written by Emanuele Lobina, shows that water privatisation in England and Wales has led to a concerning increase in water poverty, and that economic regulator Ofwat is part of the problem. It argues that renationalisation is needed to tackle water poverty. The Our Water, Our Right coalition has released a new report entitled Lagos Water crisis: Alternative roadmap for public water sector promoting a solution to the critical situation of access to water in Lagos. This policy brief on utilities was produced for the PSI Executive Board EB-148 held at the ILO in Geneva (Switzerland) on 19-20 May 2016. Its objective is to inform EB-148 of activities in the utilities sector since the PSI Steering Committee SC-19 that took place in Geneva (Switzerland) in November 2015 and inform EB-148 of activities planned for 2016. The brief is available in English, French, Spanish, German, Swedish and Japanese. Logos for the World Water Day 2016 are available for download in English, French, Spanish and Portuguese in both JPG and PDF format. PSI provided input to an assessment from the water justice network of development cooperation support for the implementation of human rights. Development partners, including the World Bank, have violated human rights, including with their conditionalities for private sector participation. We call for the suspension of grant and loan programs which implicitly or explicitly promote PPP schemes. The implementation of Sustainable Development Goal #6 on water and sanitation presents opportunities to improve the practices of development partners. We point to the examples of public-public partnerships (PUPs), which are gaining in popularity but have not received adequate support from development partners – in part, because PUPs are not-for-profit. We also call for more rigorous measures to ensure that all rights holders can participate in decision-making. PSI submitted case studies from India, Kenya, Argentina and Ecuador on the gender implications of the human right to water and sanitation for the UN Special Rapporteur on the human right to safe drinking water and sanitation. The studies touch on gender implications of legislation, public finance, participatory decision-making, and monitoring. This leaflet on water privatization in Jakarta is the third in a series of four leaflets published by Public Services International, Transnational Institute, Amrta Institute for Water Literacy and Jakarta Water Trade Union. This leaflet on water privatization in Jakarta is the forth in a series of four leaflets published by Public Services International, Transnational Institute, Amrta Institute for Water Literacy and Jakarta Water Trade Union. This leaflet on water privatization in Jakarta is the second in a series of four leaflets published by Public Services International, Transnational Institute, Amrta Institute for Water Literacy and Jakarta Water Trade Union. PSI delegation including Rosa Pavanelli, PSI General Secretary, take part in the human right to water seminar on 23 and 24 February at the Pontifical Academy of Sciences in the Vatican City. PSI Deputy General Secretary David Boys is invited to speak on two panels at the 2016 Stockholm Water Week. PSI affiliate, the Korean Government Employees Union (KGEU) and the Korean Confederation of Trade Unions (KCTU) are organising an international forum to seek alternatives to privatisation policies and to strengthen public water services. On 9 October, the people of Uruguay celebrated the tenth anniversary of the victorious referendum in defence of water that forced a change to the constitution. Amendments to the constitution recognised water as a basic human right and made it impossible to privatise water resources and services. As part of its World Congress events, PSI is holding a series of pre-congress meetings on key issues. Unions from 30 countries will gather in Marseille, France to express loud and clear their concerns about water policies. The occasion is the triennial World Water Forum –WWF6, a corporate tradeshow which masquerades as a global policy arena. The water forum was the brainchild of the French multinational corporations Veolia and Suez, in cahoots with the World Bank, created back when privatisation was the only solution for getting water to poor people in developing countries. Now, the gloss is off the rose, and only the sharp spines are left. The primary objective of the Bonn2011 Nexus Conference is to bring together a broad range of stakeholders from the water, energy and food sectors in an effort to improve understanding of the interdependencies and develop a joint perspective on the common challenges. The “Each One Teach One” WOP conference is an opportunity for those who are interested in beginning a new WOP with partners in the North or partners in the South. It will be an interesting meeting point for policy makers and water operators on capacity development for our ultimate goal: Universal access to drinking water and sanitation in a safe environment. Well-managed water systems are a fundamental policy goal for all countries and can be an important driver for green growth. In this video, PSI Deputy General Secretary David Boys introduces the new publication “Why Public-Private Partnerships (PPPs) don’t work” by Public Services International Research Unit (PSIRU). Video: Water and power: are public services still public? This new video by the Municipal Services Project examines the question of corporatisation and how it can affect public services, specifically in the energy and water sectors. The Nagpur Municipal Corporation Employees Union is running a major campaign against the privatisation of water in the City of Nagpur as explained by Brother Jammu Anand, President of the Nagpur Municipal Corporation Employees Union, in a video. Giant multinationals are trying to privatize publicly-owned water supply systems. The latest attempt is in Peru. A RadioLabour interview with David Boys, the Deputy General-Secretary of Public Services International, the PSI. Public workers who deliver water services in Athens and Thessaloniki are working with community allies, including “Save Greek Water,” and EPSU - the European arm of Public Services International, to keep public water systems in public hands. The government is trying to privatise and sell off these vital services under austerity measures. David Boys, Public Service International’s (PSI) deputy general secretary, talks to Akvo's Mark Charmer and challenges theories that market-based financing is the right approach for financing water utilities around the world at the Global Water Operators’ Partnerships Alliance’s (GWOPA) global forum that took place in Barcelona from 27-29 November 2013. An estimated 100 million workers took to the streets for a two-day strike organised by national trade union centres in India. 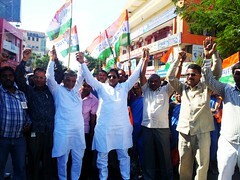 PSI affiliated unions representing workers in the electricity, defense, water and municipal sectors were there in force. Interview with David Boys (Public Services International and appointed to the UN Secretary General's Advisory Board on Water and Sanitation - UNSGAB) at the Water Operators' Partnerships conference in Amsterdam, 2 November 2011. PSI utilities officer David Boys tells us about the nature and mechanisms of worldwide privatization of key public services such as water, energy, waste treatment and pension funds in an interview at the 2011 World Social Forum in Dakar.